When it comes to the Internet, you need to have a place that you can call home. Your company’s Web site needs to be accessible, and the best way to do that is to rent space on a server through a Web host. A Web host is a company that allows you to save space on a server, which is basically a computer. The Internet is made up of servers that store information in a form that can be easily retrieved and then displayed by computer screens all over the world. In order to get your Web site on the Internet easily, it pays to rent space from a Web host. We will focus in ASP.NET Core hosting since this blog is for ASP.NET Core hosting lover. There are many ASP.NET Core hosts out there, and some of them even offer free hosting. However, these free services often come at a price: diminished service or you have to let the company run ads on your business Web site (which looks unprofessional). In the end, it is often worth it to find ASP.NET Core hosting that costs a little bit. There are plenty of low-cost ASP.NET Core hosting options out there. Two Web hosts will be discussed here: GoDaddy and IONOS (which previously 1&1). 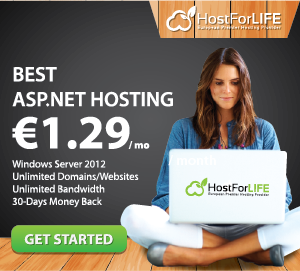 You can find out more about other popular low-cost ASP.NET Core hosting at https://www.topreviewhostingasp.net. IONOS hosting which previously 1&1 is made by people who know the Internet inside out. After all, United Internet, a corporation which owns this provider, has been around since 1988. It wasn’t only doing hosting. One of their other products is Mail.com, one of the biggest email services on the planet. And in late 2018, we were greeted with the blockbuster news. 1&1 bought and merged with Profitbricks, an enterprise cloud solution. This is how 1&1 IONOS was born: even bigger and more powerful than ever before. GoDaddy also became the world’s largest ICANN-accredited registrar in 2014, with over 59 billion domain names under its own management. It is also an online provider for several small businesses. GoDaddy has always been known for its aggressive advertising, for example, its Super Bowl ads. This has made the company very popular in the general world. Well, that’s brief information about their hosting business. So, who is the best choice for ASP.NET Core hosting? Keep reading to know about their hosting plan, features, price, customers support, etc. 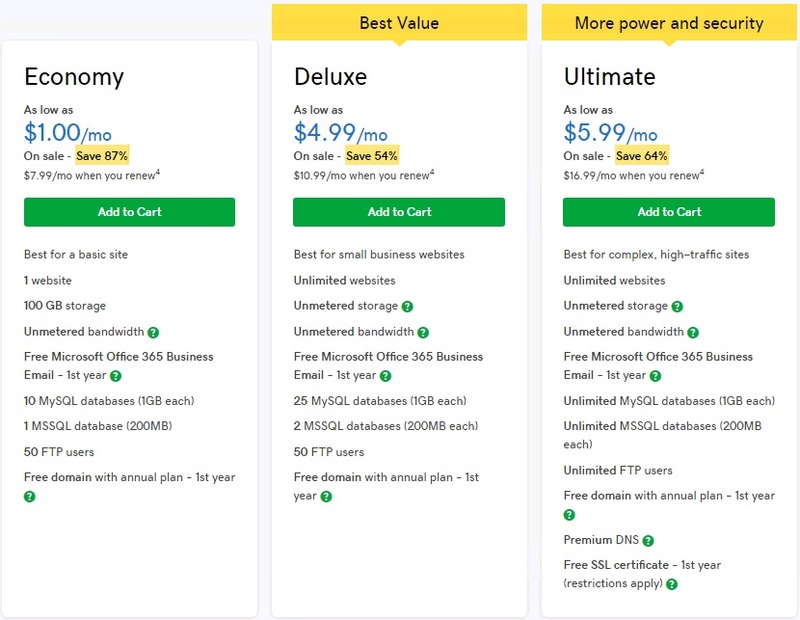 Pricing Schemes ASP.NET Core Hosting – Who is the WINNER? Leading ASP.NET hosts across the board, IONOS and GoDaddy are two trusted brands in the ASP.NET hosting industry that have been around for ages. Shared hosting plans don’t come much cheaper than with these two, but IONOS and GoDaddy both pack the features into their high-value packages. By building their own control panel, CDN, and website builder, IONOS takes a personal role in ensuring the user experience is streamlined and intuitive. If you compare the price, they have almost have same pricing, so it is draw. Both of the companies offer many features to help customers run website smoothly and stably and manage the accounts easily. However, there are also some limitations. The table below lists the main features GoDaddy and IONOS provide. Both GoDaddy and IONOS offers plenty of freebies and add-ons to their hosting plans. They both offer a free domain name for a year with purchase of a hosting plan. GoDaddy ASP.NET Core hosting and IONOS do daily backups of your server. But, we have tested their backup systems, sometimes it fail to work and not too reliable. If you choose their hosting services, we highly recommend you to keep backup on your end. For money back guarantee, both also offer money back guarantee. If you don’t satisfied with their hosting services, you can claim your money back. If you compare about their hosting plan, almost same features too, but with IONOS hosting, you can create 25 email accounts. The Winner is IONOS hosting here. Features, however, do not really matter if the ASP.NET Core host does not perform. The job of a ASP.NET web host is deliver your website files to a visitor’s browser every time they go to you web address as reliably and as quickly as possible. Uptime is the measure of how well the web host fits the “reliably” part of performance. Both IONOS and GoDaddy claim industry-standard uptime of 99.9%. Any measure of uptime by customers is going to anecdotal (including mine – neither me nor my clients have had noticeable downtime with either). Their uptime claims are supposed to be audited – so I’ll give them both a tie on reliability. Quick aside on reliability – be wary of any host that over-promises reliability. Everyone can (and does) go down at some point. The famous website like Facebook, Yahoo, or Bloomberg can down also. And 1&1 certainly goes down. You should expect a very high-level of performance from your web host, but be sure not to let past performance set future expectations. Additionally, both services promise “unlimited bandwidth” (ie, how many concurrent visitors you can have on your site). That’s a partial untruth for nearly all web hosts. If your site is featured on CNN, Yahoo, and goes viral on Facebook at the same time…your site is probably going to crash. Again, expect a high-level of performance, but don’t have unrealistic expectations or put value in unfulfillable promises. Back to comparing IONOS hosting vs GoDaddy on performance. Even though we can’t look at uptime directly – we can look at how quickly their servers can deliver files – ie how fast your website is. As you can see above, we have tested using monitoring tools and we found they are quite slow and incompetent in website speed. We believe that if you need high speed and great performance, then this is not good option to choose them. It will better to find other ASP.NET Core Hosting providers that offer high speed for your website. Customer service, like overall uptime, is often hard to judge based on just anecdotes – and companies’ internal metrics are not generally available. Both GoDaddy and IONOS are huge companies with a lot of customers. Usually, customers with good experiences rarely talk about their customer service (especially if the service is functioning properly). Meanwhile, customers who do have problems will vocally talk about their bad experiences online. They both offer support via phone support, live chat, and also email ticketing. Our experience with them, they are not good enough and far from satisfaction. Although you can contact them via phone, but it always redirect so many times and they can’t solve the problem on the spot. At the end, they will ask you to create ticket via their ticketing system. If you are lucky, they will answer you within 5 minutes, but if you have bad luck, then you can wait until 3 days without no answer. Phew….. If you are looking for fast customer support, then you can’t rely on them and maybe you can frustated with their team. Anyone looking for a ASP.NET Core hosting provider knows there are tons of companies out there, all jostling for position and attention. 1&1 and GoDaddy have been around long enough to earn a place in the pack – but just where does it sit? If there are 2 both ASP.NET Core hosting above, I choose IONOS hosting than GoDaddy. But, if you have other comparisons, it will better to stay away from them! 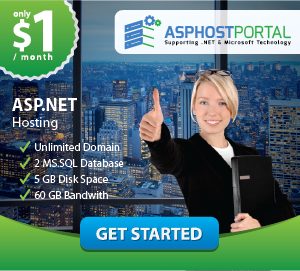 There are many reliable ASP.NET Core hosting outside then and we really recommend ASPHostPortal ASP.NET hosting for reliable ASP.NET Core hosting. They have fast server, good features, reliable service and also top notch customers support. 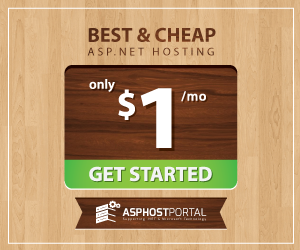 ASPHostPortal is the best all-round ASP.NET hosting provider and scored full marks for help and support in our research. It also scored top marks for the types of hosting it offers, not to mention value for money, disk space, and uptime. I'm an experienced marketing, SEO entusiast and technical writer since 2006. I had worked in many international high-tech companies. Now I'm focusing to write several blogs about web hosting to help people find suitable web hosting.